There are a number of items, big and small, which need funding to ensure the continued success of THBC. The top projects are listed below, in order of priority. Blades need to be in a constant cycle of replacement due to the heavy use that they receive. The top priority for the club at the moment is a new set of blades for the first men and women. The purchase of a new men's IV+ in 2010 was a great boost to the club, though we are still limited to one good boat for the men and women. What we need is an identical matched boat for both sides of the club, to allow seat racing and training in IVs all year round for the first VIII crews. Due to limited daylight hours and academic commitments, a significant amount of our training has to be done on an erg, especially during the winter months. Our current ergs are worn out and need replacing. We have already raised enough funds to purchase four new Concept2 Model D rowers with PM3 monitors and would like to purchase another four in order to replace all 8 of the old machines. Many thanks to those who have made it possible to purchase the new machines so far. 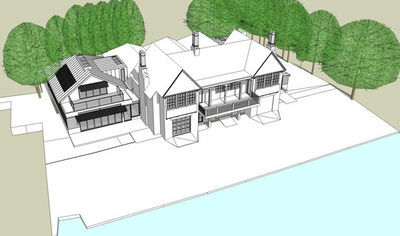 The first stage of the boathouse redevelopment has now been completed thanks to the generosity of many alumni. The Latham-Scott Boathouse is now one of the finest on the river, the next stage involves the construction of an extension to house indoor rowing tanks. Further information on the project can be found here. If you'd like to support THBC in achieving one of the above goals take a look at the support page. A new tub four would allow us to have an intermediate boat between the tub pair (which, though well-loved, is very wide and slow) and the novice eights. Currently, many novices struggle to cope with bad balance when they first go into eights and a tub four would greatly enhance the quality of individual training we can offer to novice and senior rowers alike. The 4 new Concept2 Model D rowers with PM3 arrived in time for the start of Lent Term and are already getting a lot of use in preparation for Lents! 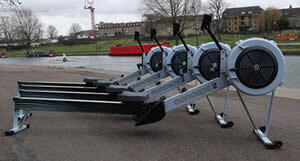 Many thanks to those who made this possible, we hope replace the remaining 4 old ergos to complete the set. Thanks to a kind donation from Jeff Cook we have been able to recently purchase 4 ergo slides. Ergo slides allow the rowing machines to move under the rower while training, creating a movement and feel that is highly similar to that in a boat. 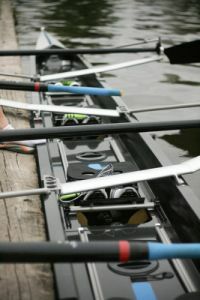 Machines can be joined together, so crew ergos can focus on crew timing and technique in addition to fitness. A new men's IV was long overdue with the previous wooden men's first IV+ dating back to the early 1980s. This boat still holds the course record for University IVs, and is now being used by the men's second IV. Many thanks to all of those who donated towards the new boat; I hope we do it proud. Thanks to the extraordinary generosity of the supporters of THBC, the first men have been able to purchase a fantastic Filippi VIII+ to help them bring THBC back towards the head of the river. 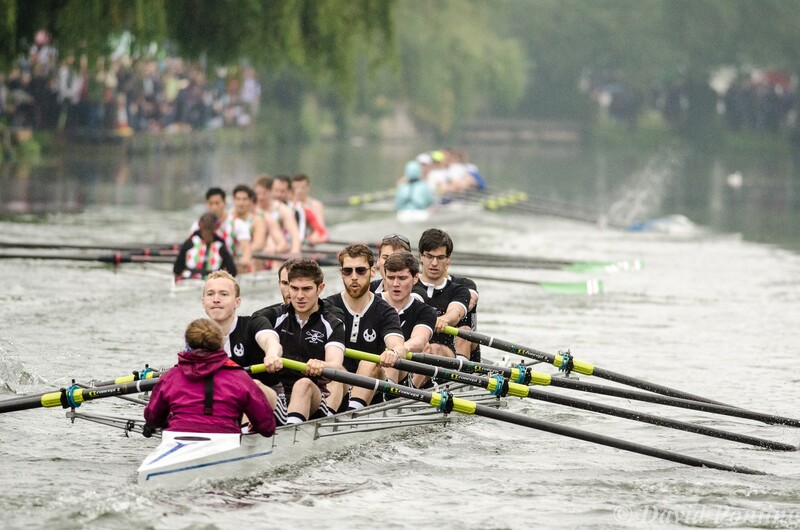 In the crews' first bumps in the filippi (May 2015) they saw a great improvement on previous years, bumping up twice to finish third in the M2 division. Lets hope that this outstanding new boat and the performance of 2015 is an omen of good things to come for THBC.